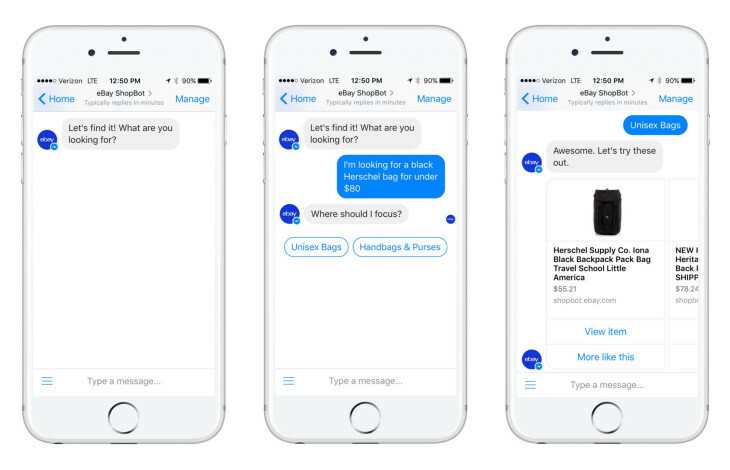 Home > Blog > Put the competition behind: how the largest brands use Chatbots in communication with clients? Chatbots are one of the biggest trends in technology in 2018. Marketers and business owners compete in introducing modern solutions to gain a competitive advantage. That’s why Chatbot proved to be a massive hit in various industries: e-commerce, financial, service and gastronomic. Chatbots help as virtual assistants to the purchase, support payments and bookings, advise, make valuations, and inform about discounts and sales. And that's only a small part of their possibilities. Have you ever felt overwhelmed by the variety of available cosmetics in Sephora? 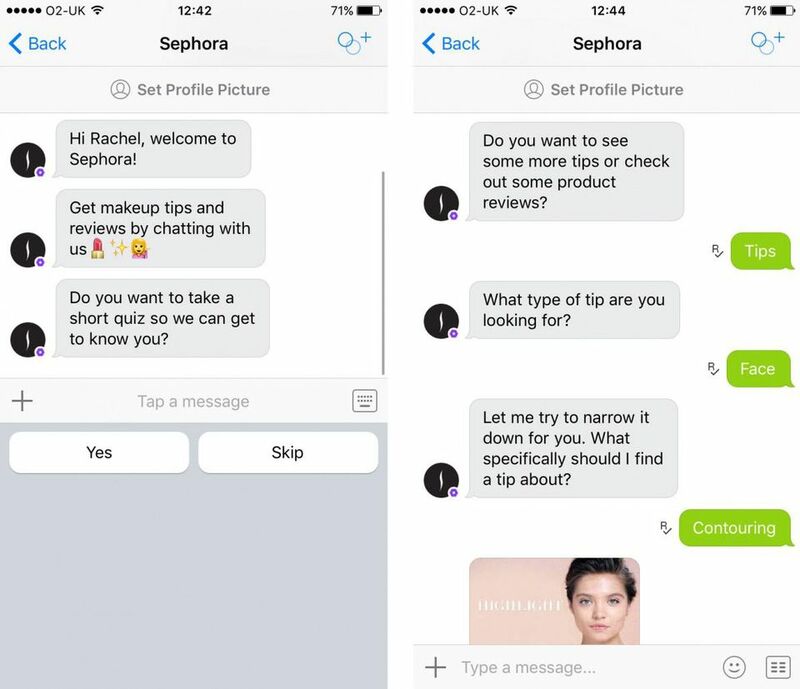 Here is a solution for you: KIK bot – Sephora’s online shopping assistant. Chatbot can help you find the right product in the drugstore’s offer. It provides advice, videos, photos, tutorials for everything needed: eyes, lips, face, hair and even nails. Looking for a particular product used by celebrities? Chatbot will make it easy for you. It also suggests the best-rated products in each category. You can just enter the name of the product: e.g. "Dior Lipstick", and KIK will immediately give you a feedback about the product. That's not all - Chatbot also sends push notifications! This is one of the first Facebook Messenger Chatbots. Spring Bot serves as a personal shopping assistant for luxury clothing brands such as Balenciaga, Givenchy and Lanvin. What is the conversation with Spring Bot like? It starts with a few simple questions: “What are you looking for today? In what price range?”. What's more, Chatbot allows you to shop directly in the application. "Luxury customers expect a unique experience in luxury stores - the bot translates this experience to the online world". Chatbot in the fintech market? Here you are! 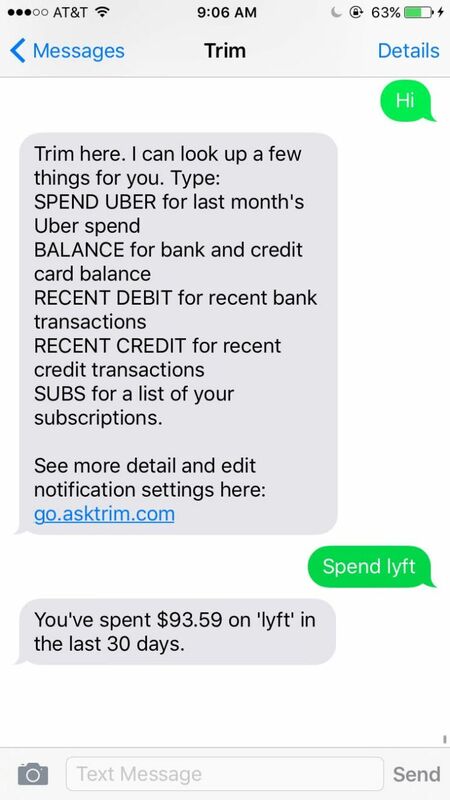 Trim is a fintech startup, which at first implemented SMS Chatbot, but currently also runs a chatbot on Facebook Messenger. How to make use of a Chatbot in financial technology market? Trim Bot manages clients’ subscriptions. It informs about payments, the end and the beginning of your subscription. Just type in e.g. "Delete Dropbox" or "Delete [your subscription]" and the subscription will be deleted. Trim Bot turned out to be a successful project: it became very popular on Messenger, and thanks to it, the company increased its recognition among new customers, which translated into an increase in the base of all customers. eBay, the largest auction site in the world, offers eBay ShopBot - a virtual shopping assistant. The bot helps consumers find the products they are looking for at a price within their budget. All you have to do is enter the name of the product you are looking for and answer bot’s questions to find a perfect match to your needs. 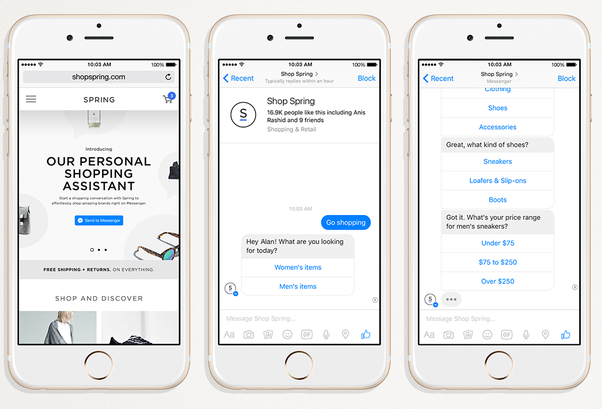 eBay ShopBot: Chatbot Facebook Messenger advising on shopping. Source: TechCrunch. Did you think that Chatbot cannot be an assistant in the restaurant industry? Here is a story about a restaurant chain with over 14,400 branches in the world using a Chatbot. 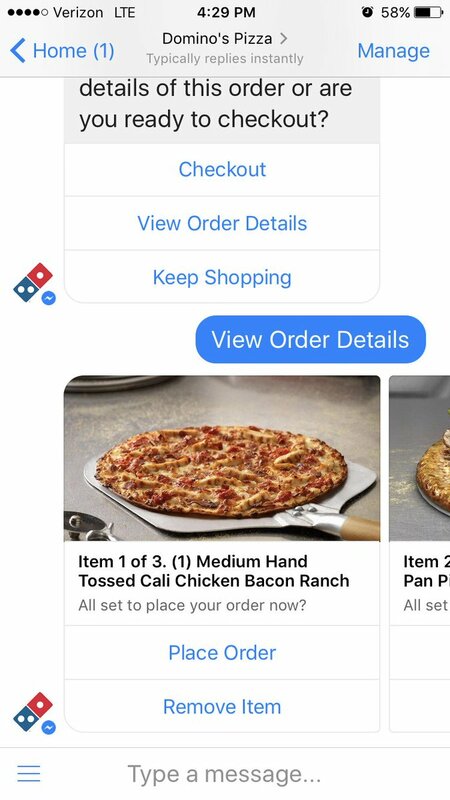 Domino's Pizza gave it a try on Facebook Messenger. Chatbot Domino's Pizza creates new shopping experience, at the same time relieving the hotline of the pizzeria network. Customers can order pizzas through the Facebook profile of Domino's Pizza. Just enter "PIZZA" to order a pizza from the entire available menu. Once you use this tool, the data is kept in the history, what makes following orders easier and the customer does not have to enter the same information over and over again. Chatbot Domino's Pizza – an order assistant. Source: Neowin. As Nick Dutch from Domino's Pizza says: „ The determinant of the success of this action will be an easier life for customers, a unique experience, and what comes with it – the brand loyalty, which is a long-term profit." 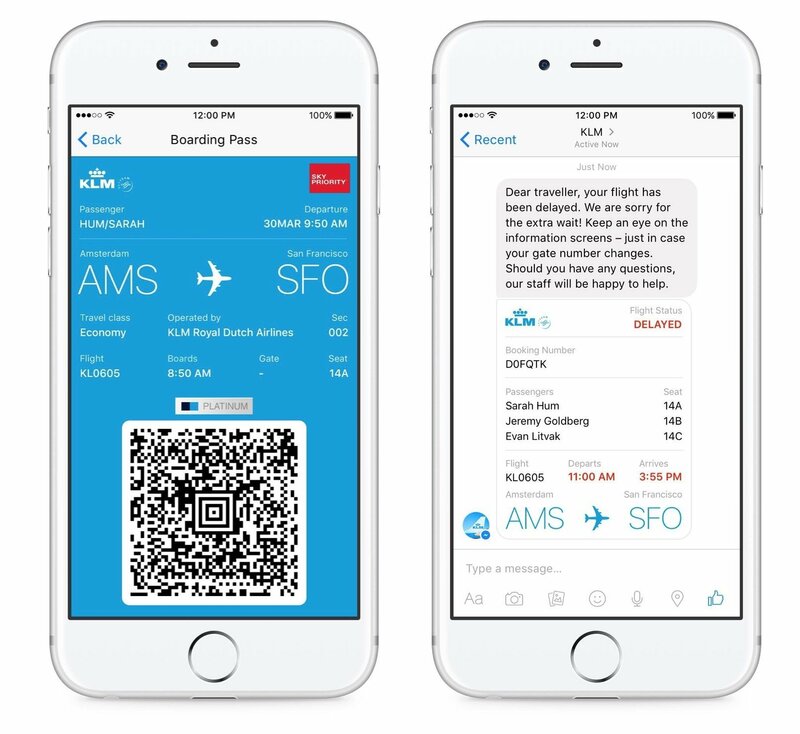 The oldest airline in the world decided to implement Chatbota KLM BB’ to assist passenger in booking plane tickets. Chatbot also deals with booking confirmations, check-in reminders, sends boarding passes, informs about flight’s changes and answers passengers' questions. KLM BB operates as a Facebook Messenger Chatbot. Open rate of Messenger is 80%, which is way more than email’s – 20%. KLM airline chatbot for handling flight reservations. Source: Engadget. According to KLM statistics, it run over 1.7 million chats with around 500,000 passengers. It won’t be a surprise that Chatbots save both money and time, what absolutely changes the customer service game. It’s time for a thread for travel addicts! SnapTravel is Chatbot working on Facebook Messenger. It is a virtual travel assistant in search of hotels and accommodation. Just enter the city and dates to get the best recommendations. What's more, hotels can be booked directly through Messenger. Chatbot SnapTravel is a virtual assistant for hotel reservations. Source: SnapTravel. Aerie, Chatbot introduced by the manufacturer of clothes and underwear American Eagle Outfitters is another KIK bot in e-commerce industry. Chatbot AERIE is a virtual clothing assistant which helps you to find the clothes of your dreams. But there’s more to it: chatbot has the unique feature “This or that”. Chatbot presents you 2 styles of clothing to choose from, and the consumer has to click, which one he likes more. On this basis, Chatbot suggests more products. This allows you to narrow down the search and is a particularly useful feature when it comes to the shops with a wide range of products. 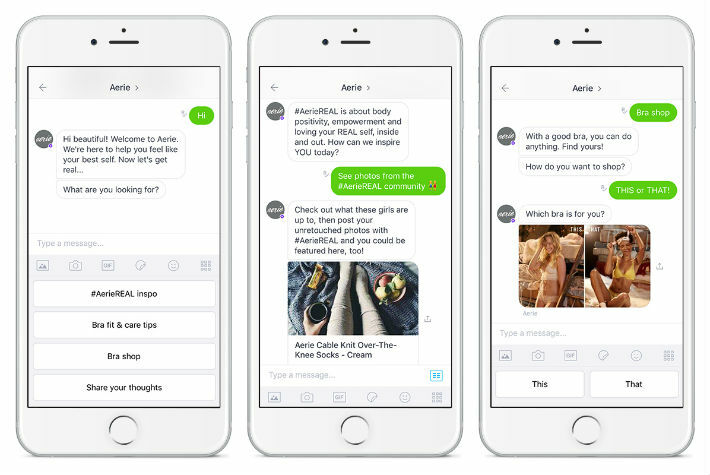 Aerie: Chatbot American Eagle Outfitters. Source: DMNews. As the company’s customers are Millennials and Generation Z – AERIE was definitely a bright idea. The list will finish with one of the very first Facebook Messenger Chatbots. Chatbot 1-800 Flowers is an online florist’s, which allows you to choose and buy flowers and other gifts. Products can be filtered by type of event (e.g. birthday, anniversary) and different categories. 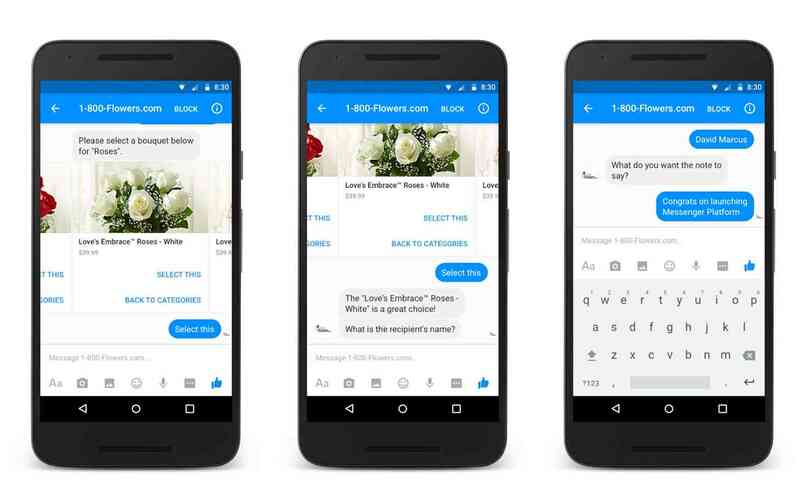 1-800 Flowers Chatbot: a virtual shopping assistant in the floristic industry. Source: ABA Bank Marketing. Making orders is possible directly from the application, without entering the online store of the company, where the range of products may be overwhelming. Thanks to this solution, in case of an emergency ;) the ordering time is significantly shortened. 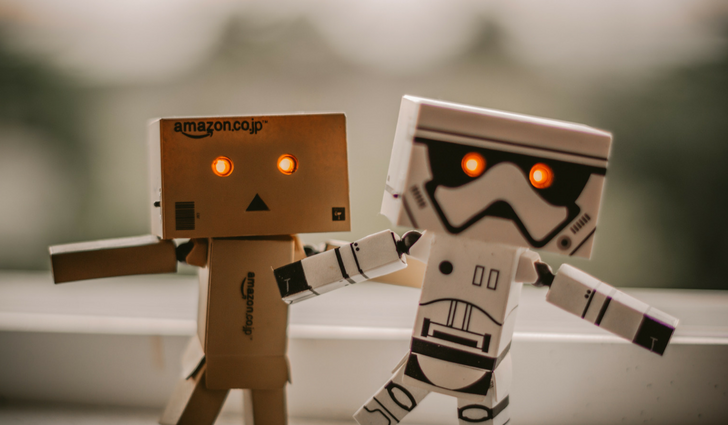 We hope that the article inspired you and convinced that personalized Chatbot is the perfect way to automate customer service, increase brand recognition, differentiate yourself from competition and create a unique shopping experience. You can read more about Chatbots HERE. Don’t worry that the article focuses on the biggest players in the market. Thanks to technology development, Chatbots right now are available for all kinds of small and medium enterprises. Spreads good news about our company across the world. Writes. Takes care about media relations and company image. On our blog, she inspires readers to introduce IT solutions. Unstoppably racks her brains on how to understand our clients' needs even more.